So I think we all know by now that two of my favourite things are musicals and food. I follow a lot of Broadway actors on Instagram (my Instagram feed is basically theatre, cake and cats). Lots of people seem to send boxes of Schmakary’s to actors on Broadway and so I’d seen a lot about them on Instagram stories. 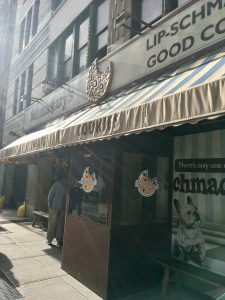 I was so excited when I saw someone post that they had received vegan Schmakary’s and promptly added it to my list of food to eat in New York. It turns out it was only a couple of minutes walk from our hotel on 45th street but 9th ave. We walked past it on a Saturday afternoon (right after getting Taco Bell) and there was a queue out the door and up the street! Even when we went past later there was still a queue. 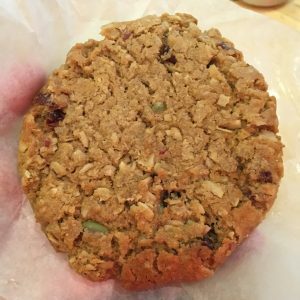 We planned on getting cookies when we went back to collect our luggage from the hotel on the last day but when we walked past in the morning while heading to Times Square there was no queue. They have different flavours on different days which you can see on their flavour calendar. 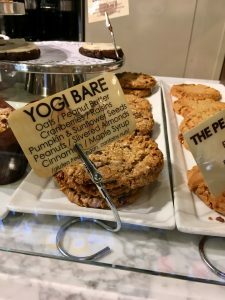 I really wanted to try the Yogi Bare and I was in luck as they are available on Sundays and Wednesdays! They have a few vegan options depending on which day you go and they are clearly labelled. My cookie was delicious. It was crunchy at the edges and soft and chewy in the middle. 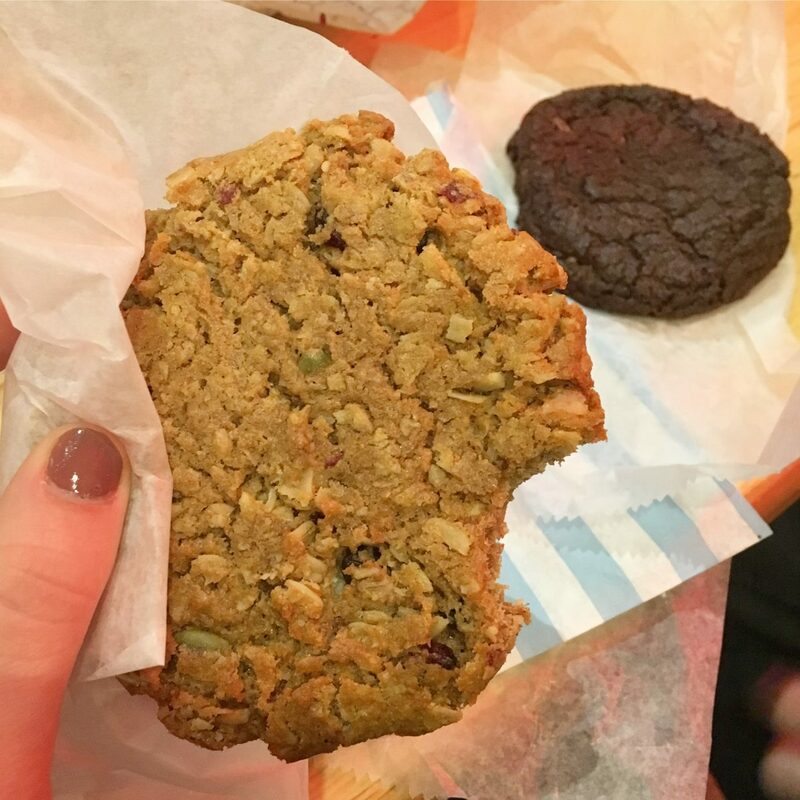 I was so glad I picked the Yogi Bare because there’s a bit of everything in it – it’s certainly fully loaded! 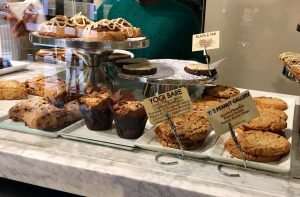 There’s also a good selection of non vegan cookies and gluten free too (the Yogi Bare is not only vegan but also gluten free)! This has made me very hungry! Yum!